Pam is very willing to inscribe, at no cost, any book you purchase from here. Do let her know about a personal message you would like, if there is a special occasion, or if you want the book dedicated to a particular person, and she will do the rest! If you are interested in purchasing any items from Pam's website, please use the contact form to get in touch with Pam who will reply to find out exactly what your requirements are and let you know how payment can be made. Lots of special package prices on offer below. "Pam has been the familiar face of BBC's SONGS OF PRAISE for many years, during which time she's joined Christmas celebrations in churches and communities all over the country. The old Bedfordshire farmhouse she shares with her husband, Richard, is filled at Christmas with their large, extended family from toddlers to great grans. 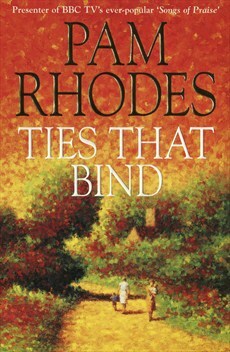 Pam's many novels include the popular 'Dunbridge Chronicles'. She's also written several books on well-known hymns, and loves Christmas carols so much she chose them as her specialist subject on 'Celebrity Mastermind'!" 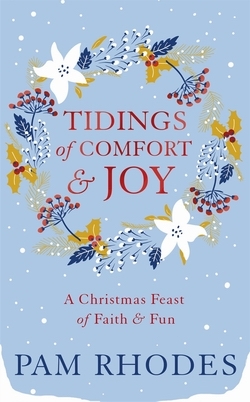 This feast of faith and fun by Pam is stuffed like a Christmas stocking with everything from wonder to whimsy - Advent wreaths, nativity plays, carol singing and ding-dong bells nestling comfortably alongside sparkling lights, holly and mistletoe, traditions, recipes, the presents under the tree and the fairy perched on top! Dip into any page and you're likely to find something that recalls a memory, makes you smile, touches your heart or lifts your soul. I found, as I wove all these thoughts together, that I was moved to tears on occasions, laughing out loud at others and bursting into song without the need for any hymn book as I joined in with carols we know so well! This is a hardback with a specially recorded hour long companion CD which is a very atmospheric, and entertaining collection of excerpts from the book. There have been many Christmas collections in the past, but this book and CD are refreshingly different to jog warm memories, touch the heart and lift the soul. It is a lovely new selection of stories, traditions, poems and songs from the whimsy to the wonderful!, with a lot more in between! These truly are 'tidings of comfort and joy'. I hope they warm and inspire you - both the hallelujah and the ho ho ho! 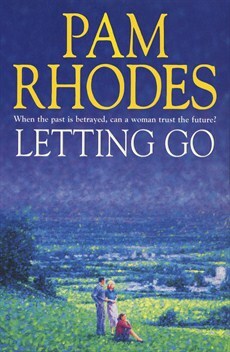 This book is a follow-up to the original trilogy of The Dunbridge Chronicles, which takes on the story on after Neil Fisher has left Dunbridge for his new parish at Burntacre in Derbyshire. Freshly-fledged vicar Neil Fisher, and a group of his new parishioners in Derbyshire, join members of his old church in Dunbridge on a Christian cruise around the British Isles. They set off on the high seas with high hopes, and even higher spirits. Neil's motley flock of pilgrim sailors face delights and disasters as friendships blossom, relationships evolve, secrets are revealed and old hurts nursed. As the ship circles Britain, visiting the Scottish islands, Ireland, the Scilly Isles, Guernsey, and the Normandy Coast, Neil's fellow passengers learn as much about themselves as they do about the places they visit. “I've been on Christian cruises with Pam and the team. There's a great sense of fellowship as we travel together, with discoveries made not just of new horizons, but within ourselves. We sing, we share, and laugh a lot!” - DANA, international singing star and former MEP. “My work takes me all over the world - but travelling with fellow pilgrims on a Christian cruise is a very special and inspirational experience. This book captures the characters and their journey perfectly, with sensitivity - and great fun!” - Rhydian Roberts, X-Factor. 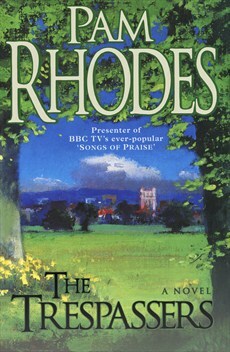 A sparkling new edition of an old favourite - Pam's first novel about the BBC 'Songs of Praise' team recording a Palm Sunday broadcast from a small idyllic Suffolk village. As the outside broadcast vehicles roll in, ambitions and emotions run high. Producer Jan Harding finds the vicar, Clive Linton, hopelessly absent-minded. His practical wife Helen gets on well with the television team - perhaps a little too well, where the charming, enigmatic Michael is concerned. Charles, the Parish Council chairman, is deeply opposed and resents the enthusiasm of other villagers - including his wife Betty. Bunty Maddocks, queen of every local committee, plots to get round the ban on church flowers during Lent; retired accountant Jack Diggens finds purpose, faith and friendship as he plans tickets and seating; and teenage soloist Anna surprises herself with her success. This delightful story will make you laugh and cry. One CD is of timeless traditional favourites and the other of some of the greatest modern classics; all sung by leading choirs and original artists. 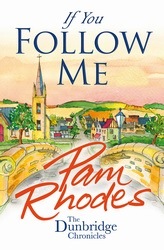 In this book Pam brings together reflections on some of her favourite hymns. Drawing on her experience of presenting Songs of Praise and sharing the stories of hymn writers past and present, she helps us to make use of their words in expressing our joys and sorrows to God, and finding hope and inspiration in them. Whatever our circumstances, these hymns turn us again to the God who created, knows and sustains us with that “love so amazing” described in the immortal words of hymn writer Isaac Watts. “Pam brings to the page a warmth and freshness, enabling these hymns to lift our hearts to God and point us again to Jesus.” - Bishop Timothy Dudley-Smith, hymnwriter. 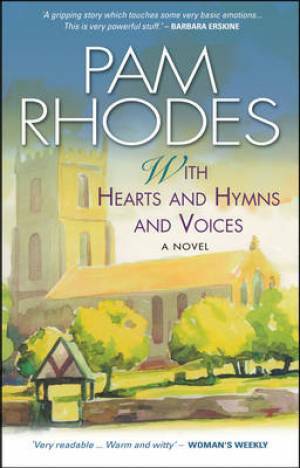 “Pam Rhodes brings a warm personal touch to the telling of some great stories about the greatest hymns.” - Sally Magnusson, journalist, broadcaster, and writer. “Truly inspiring, reminding us of God's faithfulness, presence and grace in our daily lives.” - Dave Bilbrough, songwriter and contemporary worship leader. 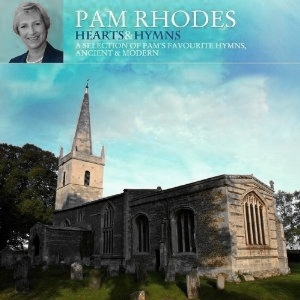 On this companion double CD Pam brings together 40 recordings of her favourite hymns. 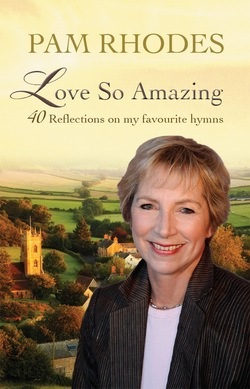 Drawing on her experience of presenting Songs of Praise, these recordings encourage us to express our joys and sorrows to God, and ultimately find a hope and inspiration within their poetic verse. Whatever our circumstances, these hymns turn us again to the God who created, knows and sustains us with that "love so amazing" described in the immortal words of hymn writer Isaac Watts. 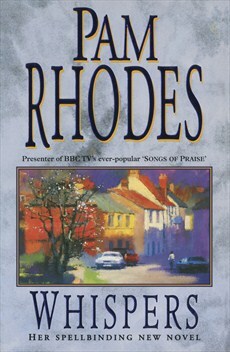 "Hymns are prayers in our pockets, a spiritual first-aid kit lovingly lodged in our hearts and memories”. The popular trilogy about NEIL FISHER, an endearing, well-intentioned but often inept young curate as he settles into life in a Bedfordshire country town, stories to make you laugh and cry with moving and often hilarious consequences. 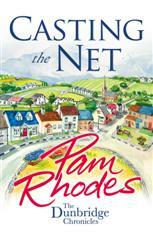 In the parish of Dunbridge, hard choices face not only Neil, but also Claire and Wendy. Ben, Claire's former lover and Sam's father, arrives back from Australia keen to pick up where they left off. Neil finds Wendy very supportive - but is she biding her time? Meanwhile, Neil has little chance to ponder his future as the whole weight of running the church and parish descends upon his inexperienced shoulders. His mother, Iris, has just moved to be near him which means she's all too ready give her opinion on every aspect of his life. Meanwhile, Neil's time as a curate in Dunbridge is coming swiftly to an end. Where should he go next, and who will go with him. Neil returns from his ordination inspired by his vocation, and determined not to let his love life get in the way. Some might think a man lucky to have two women declaring their love for him, but it's not that straightforward when you're a priest! Neil's second year as curate of St Stephen's, in the small town of Dunbridge, promises to be no quieter than the first. There are joys to be celebrated, worries to be shared, and bereavements that shake the community to its core. 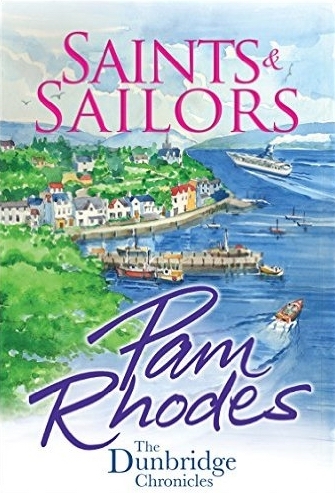 And of course, there are the women who mean to take care of him - from his domineering mother, Iris, who appears to have moved in, and Wendy, who knows she'd make him the perfect wife, to Claire, who doesn't believe in God, but does believe in Neil. 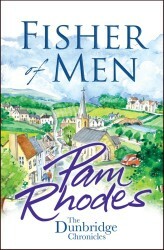 Arriving in the picturesque town of Dunbridge to take up his first curacy at St Stephens, the young Neil Fisher is not quite sure what to expect. Shy, kind and earnest, he is keen to make a good impression before his ordination to become a fully-qualified priest. 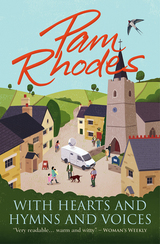 But, on meeting the formidable Revd Margaret Prowse and the colourful array of village characters, he realises he has been well and truly thrown into the deep end of Dunbridge life. Taken under Margaret's wing, Neil soon finds himself an ear for the villagers' assortment of problems and life troubles. Firstly there's the terrifying Glenda Fellowes and her long-suffering husband Peter, the church warden who is struggling to remain true to his wedding vows. Then there's Graham - thirty something, slightly overweight and looking for love. Can Neil make him realise that what he's searching for may have been under his nose all along? On top of all this, Neil has problems of his own - his demanding and disapproving mother, for a start- not to mention the advances of the beguiling, but determined, Wendy. When tragedy strikes his beloved elderly neighbour Harry, can Neil be there to support Harry's niece Claire, whilst keeping their relationship purely platonic? The year rushes on with its delightful mix of summer fetes, Harvest Festivals, carol services, funerals, weddings and pastoral visits - but as Neil prepares for his Ordination, does he have a completely clear conscience? A rich array of pithy, passionate and often humorous quotations from the frank and the famous about our journey through life and love. Encouragement, humour and wisdom through life-affirming quotations from well-known writers down the ages. In this book RED is for Relationships; BLUE is for Healing; YELLOW is for Encouragement, and GREEN is for Growth and Change. Worrying about a few grey hairs? A collection of wry, comical and poignant quotations from the wise and famous to help you cope! I hope this book. Copyright (c) 2019 Pam Rhodes. All rights reserved.